On June 18, 2013 a copy of the book Dragon & Horse. Saddle Rugs and Other Horse Tack from China and Beyond was donated by the author Drs . 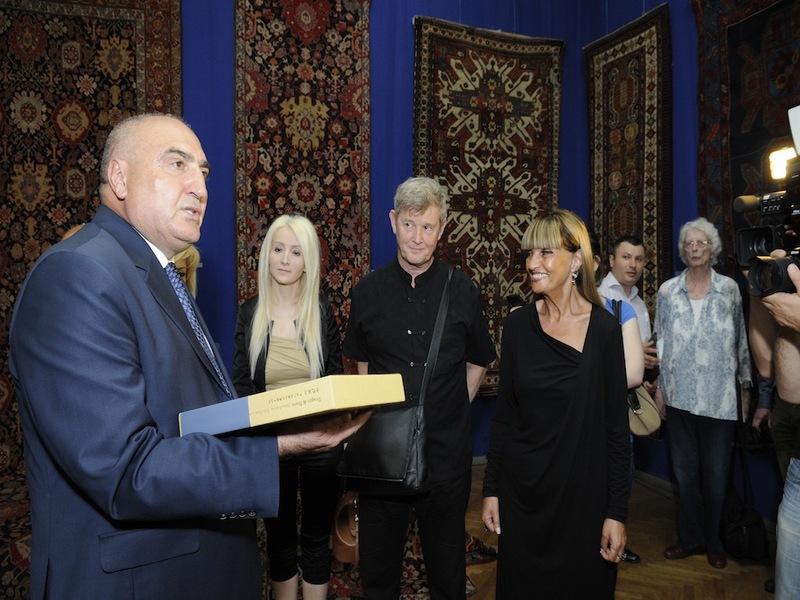 Koos de Jong to Mr. Fikret Babayev, Department Head at the Ministry of Culture and Tourism (photo left) and to Dr. Roya Tagyeva, director of the Carpet Museum in Baku (photo right). The book presentation took place within the framework of the Carpet Study Tour to Azerbaijan (June 17-21, 2013) organized by Stefano Ionescu.